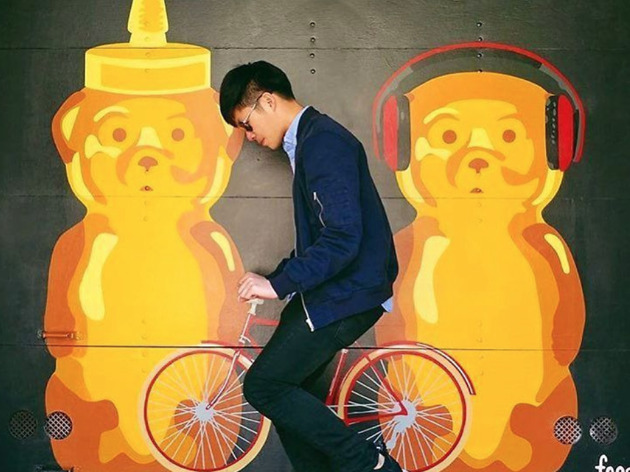 Look around! 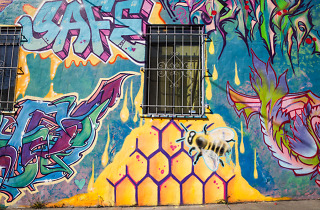 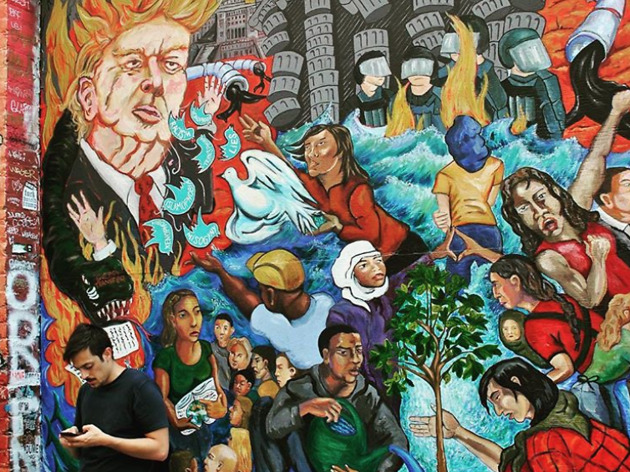 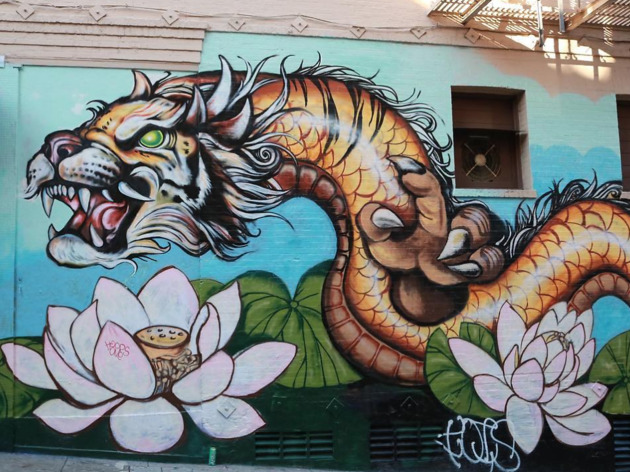 There’s lots of impressive street art and murals in San Francisco you’ve probably been missing. 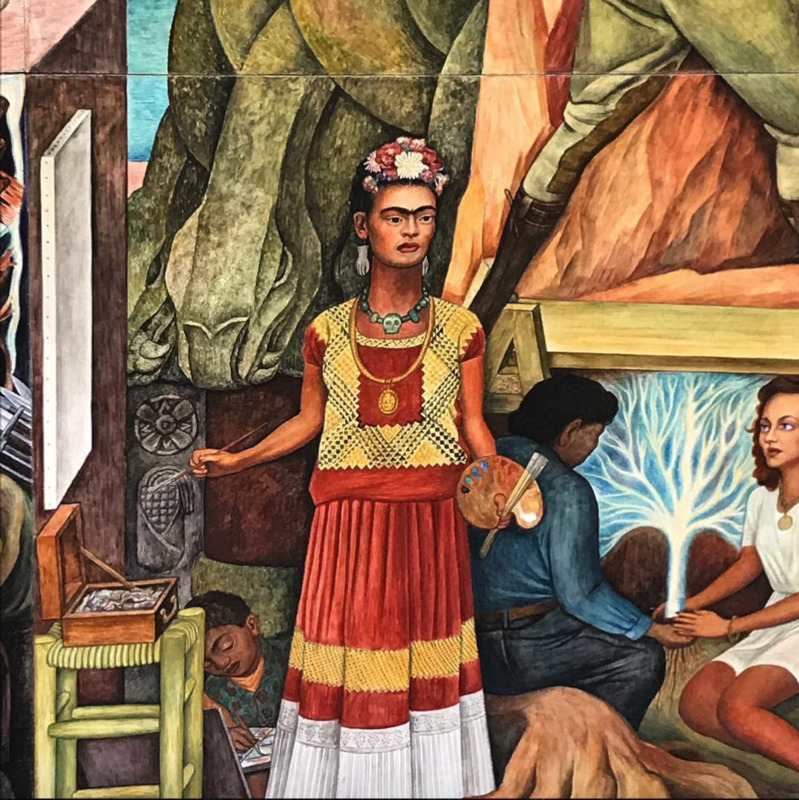 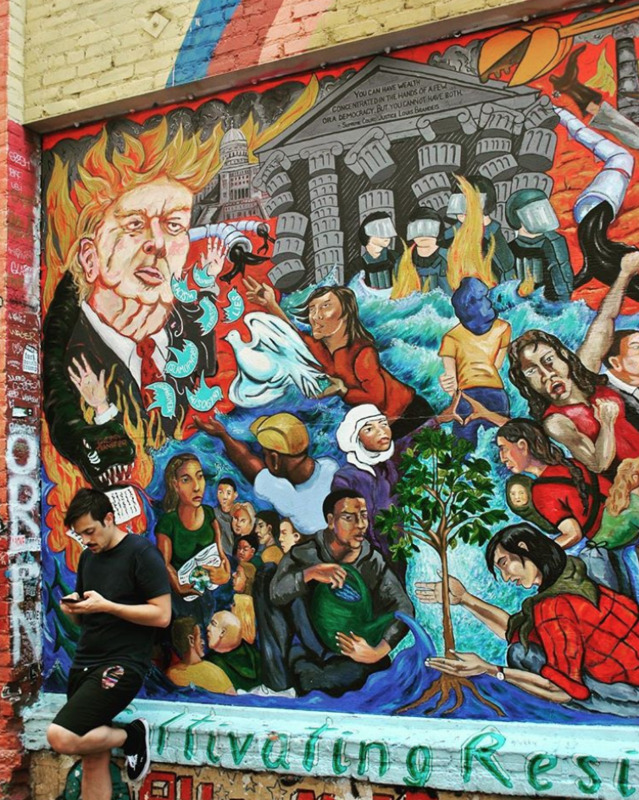 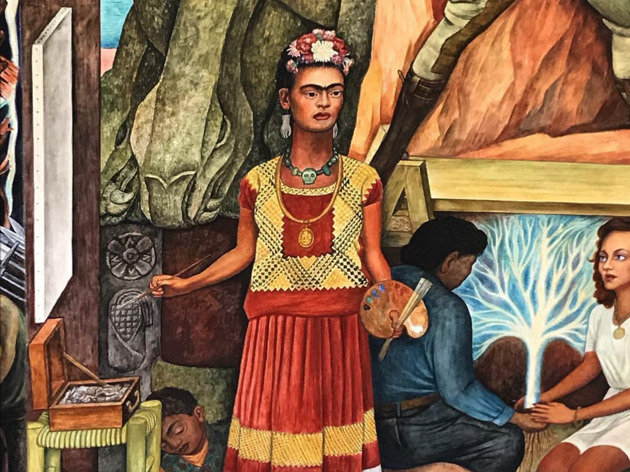 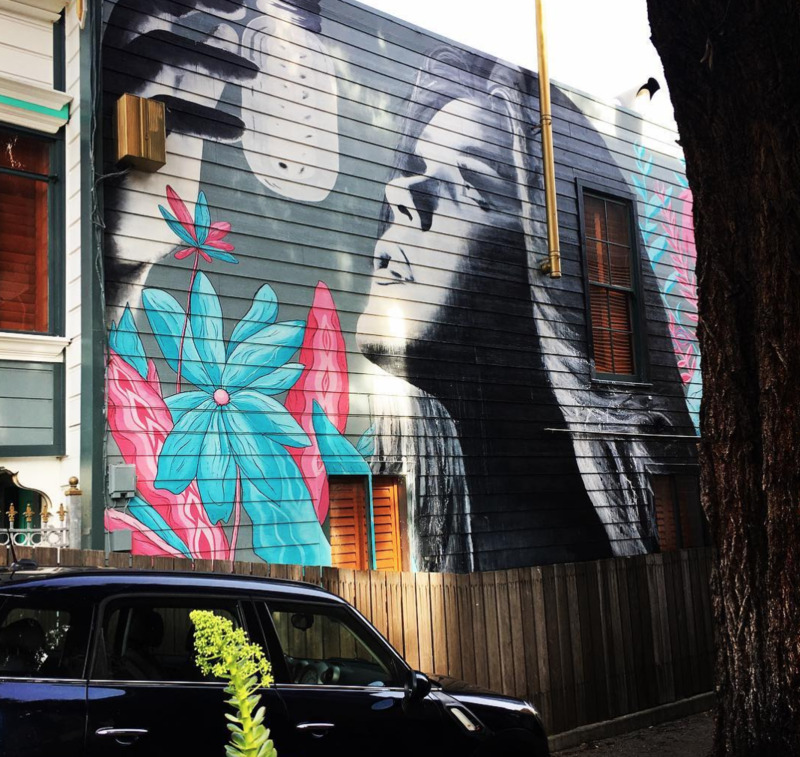 Did you know San Francisco ranks in the top three cities in the country for murals, just behind Los Angeles and Chicago? 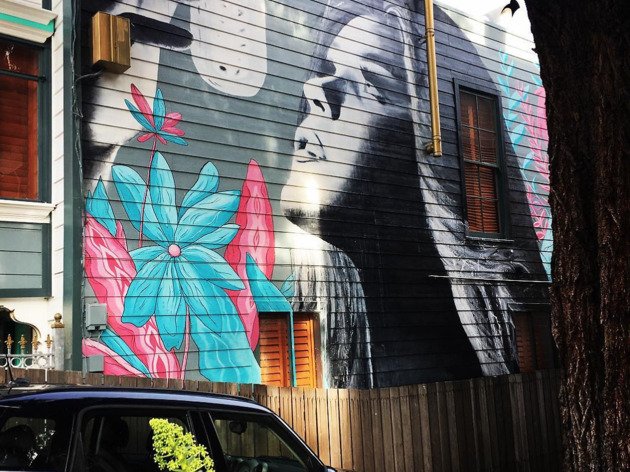 Between Baker Beach and Pier 39, SF is home to literally thousands of street art installations spanning all manner of artistic disciplines (the Mission alone has almost 500 murals and the Color Factory created eight new ones last year.) 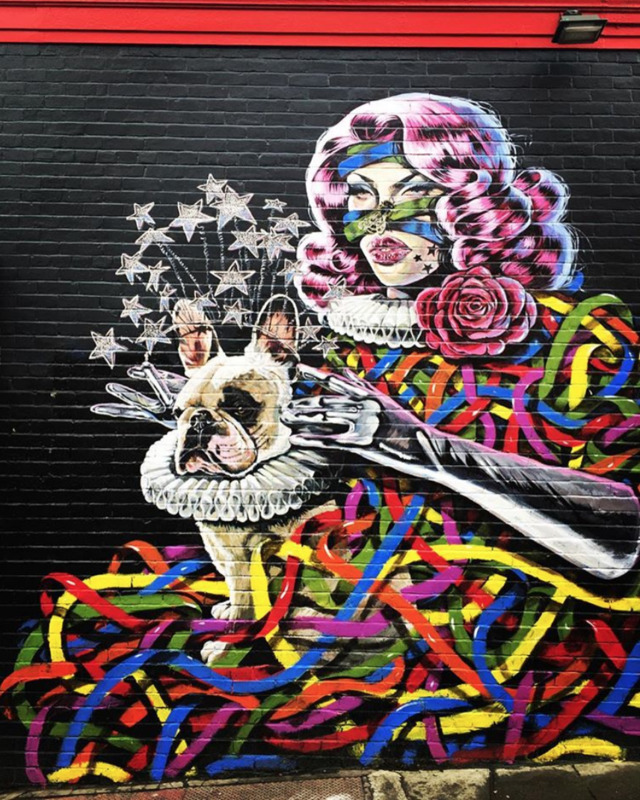 So, lace-up your sneakers, grab a coffee and hit the streets to see these colorful sights IRL—Instagramming all along the way, of course. 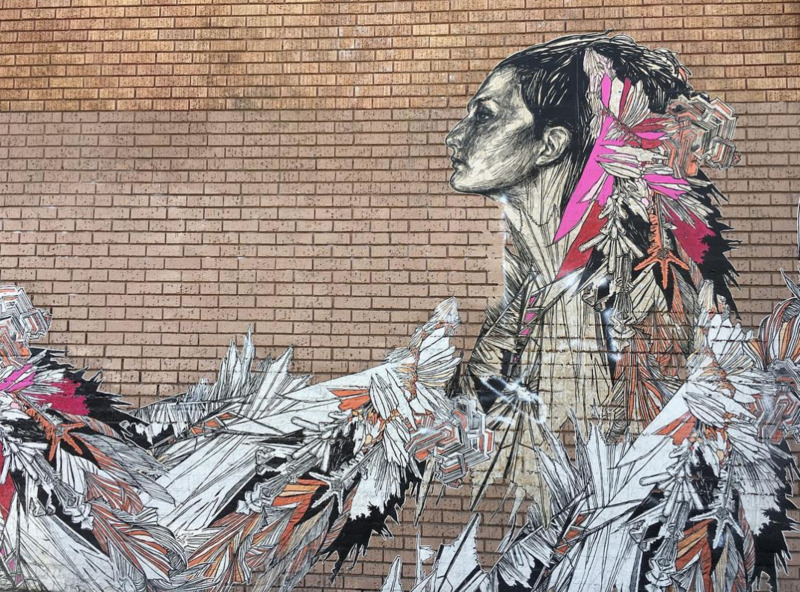 Titled No Ceiling by its creator, annonymous street artist Believe In People, it was created in January of 2017 as an homage to strong women overcoming life’s obstacles. 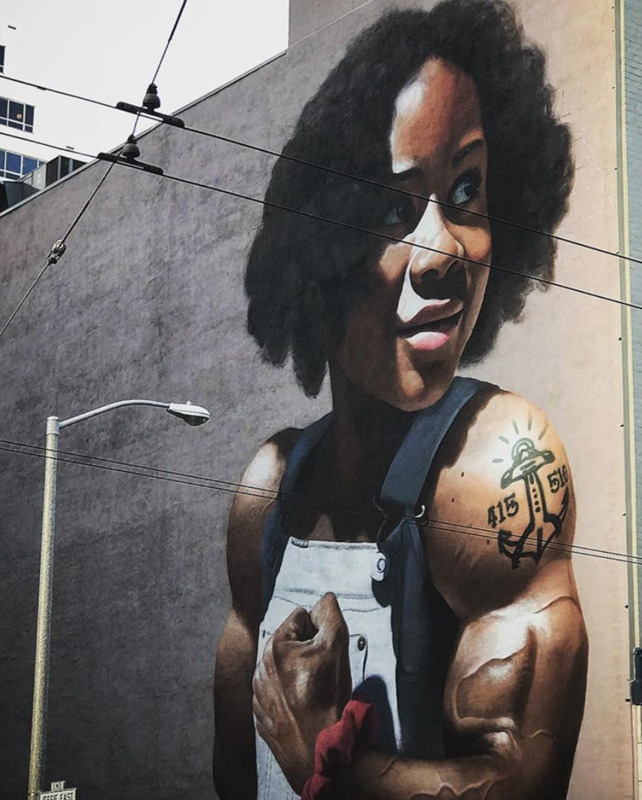 Bay Area area codes can be found to the left and right of her tattooed anchor. 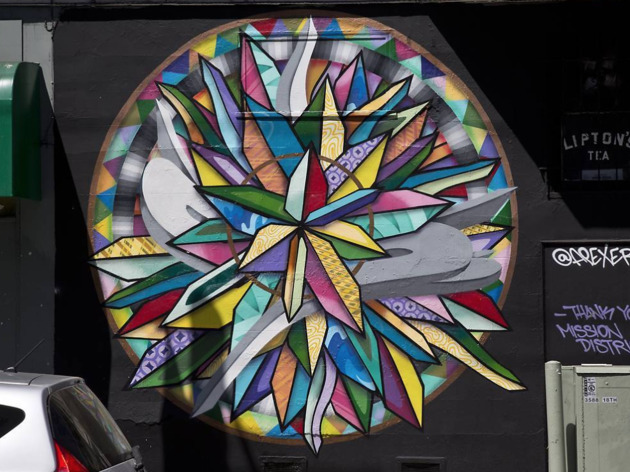 The mural is located on the corner of Jesse and Mission Streets. 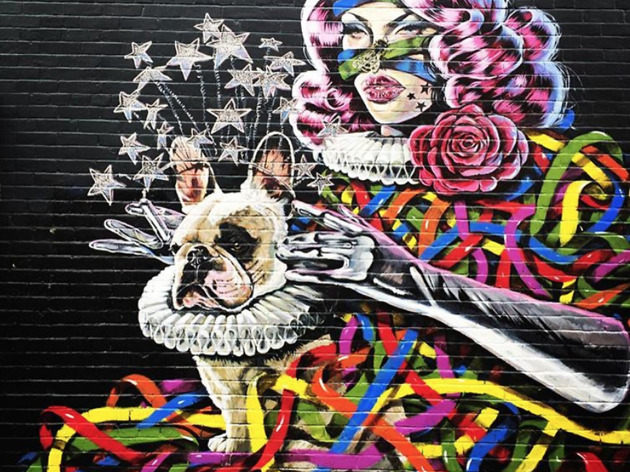 Dog-lovers will want to snap photos of this colorful ode to the trendy French bulldog breed on Polk Street. 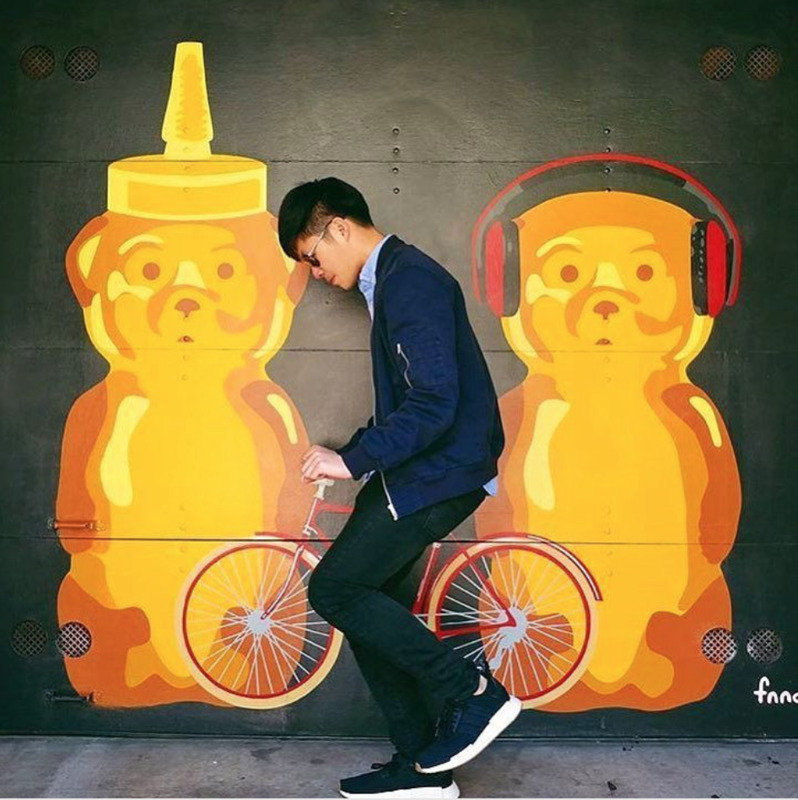 One of the many honey bear-themed street artworks that can be found through the city is this one painted on a garage at 1172 Oak Street near the Panhandle. 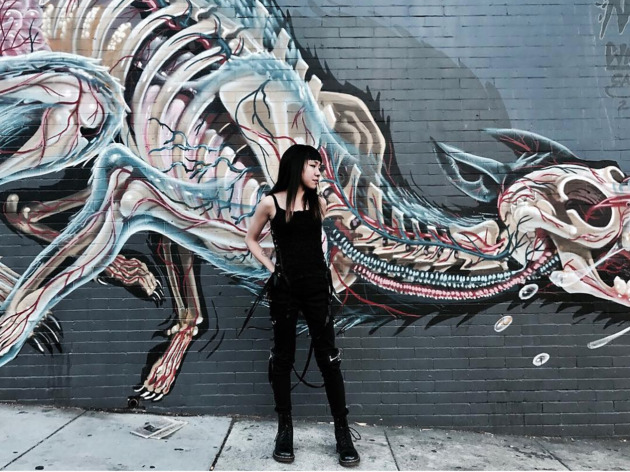 They're painted by an artist named fnnch, whose sweet creations can be found across the U.S.
Part of the x-ray–themed series of murals found in the Haight Ashbury is this skinless, anatomically correct wolf by Austrian artist Nychos, which was painted in 2014. 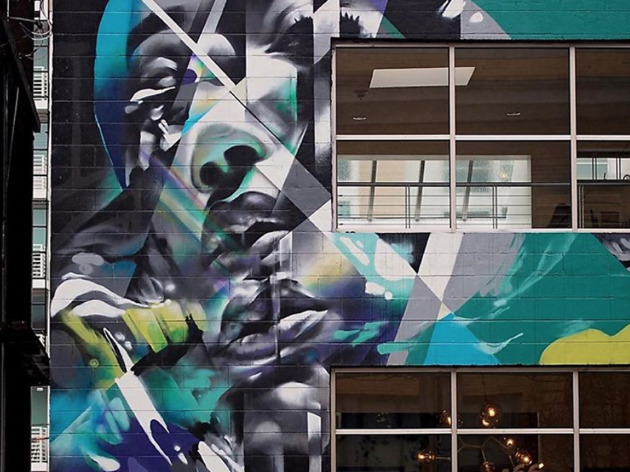 Painted by Oakland-based muralist HUEMAN, the SoMa gem (located at 466 Brannan Street) adorns an otherwise uninteresting office building. 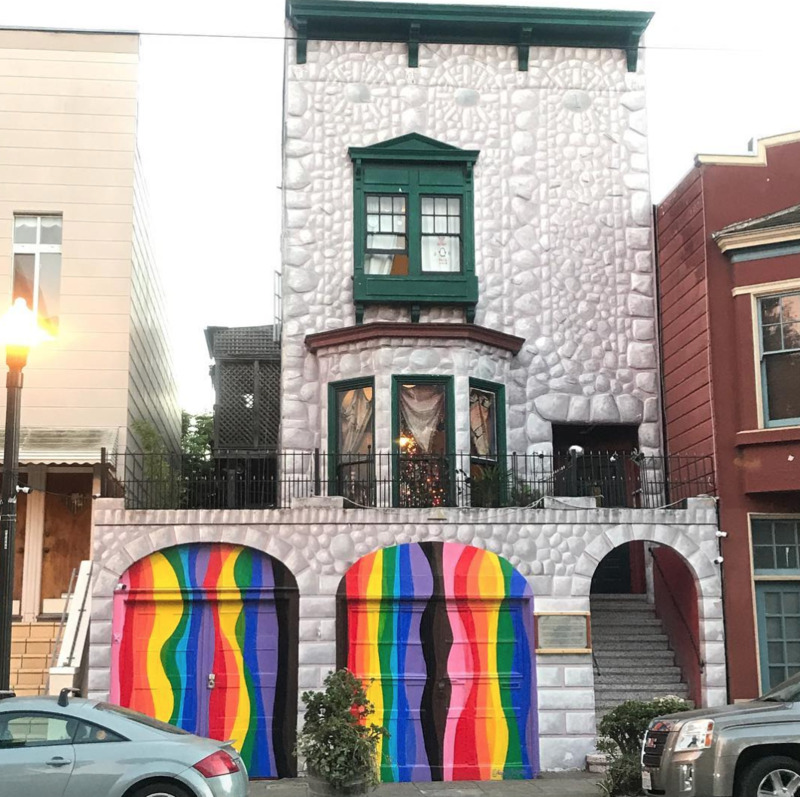 Known as The Bulb, this Castro District treasure will surely brighten your day. 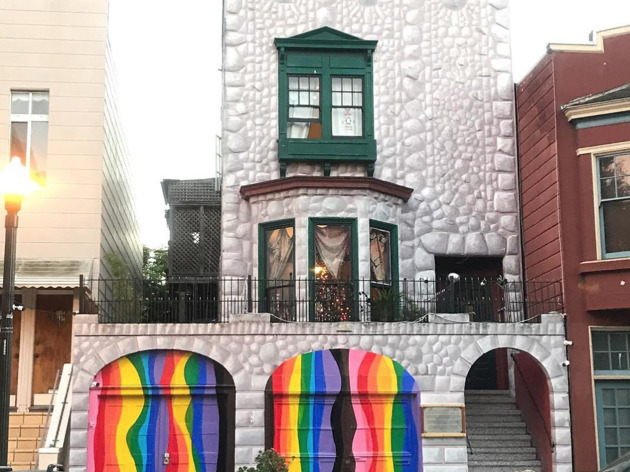 A well-known attraction in the Castro, the rainbow curtains mark the entrance to Castro Castle, a once popular bed and breakfast. 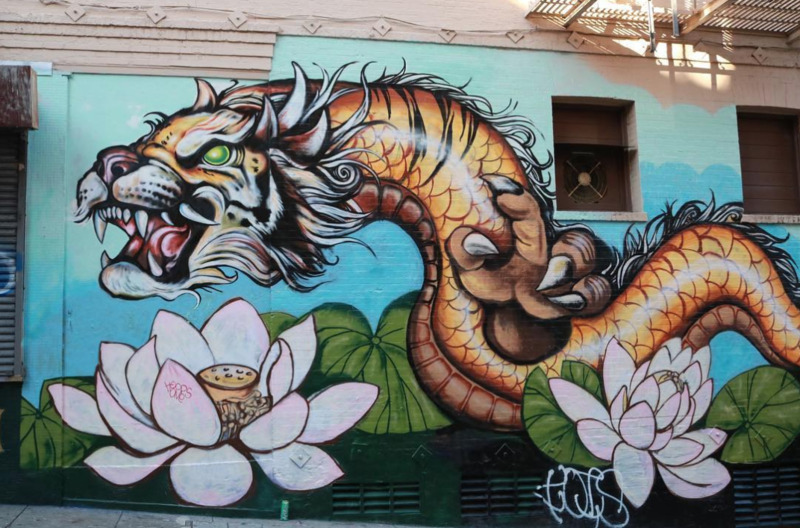 The hybrid mural was crafted by the Dragon School—an Oakland-based collection of street artists who teach kids about street art and how to engage with the community. 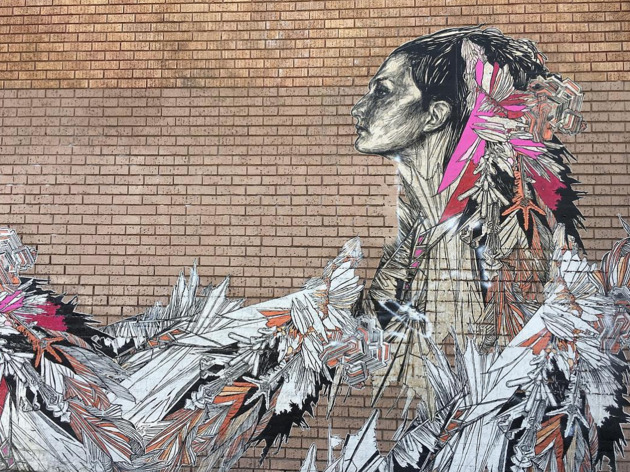 Painted by New York-based street artist Swoon, “Olivia” was painted in 2015 at the corner of 24th and Hampshire Streets, intriguing all who walk by with her thin, delicate lines. 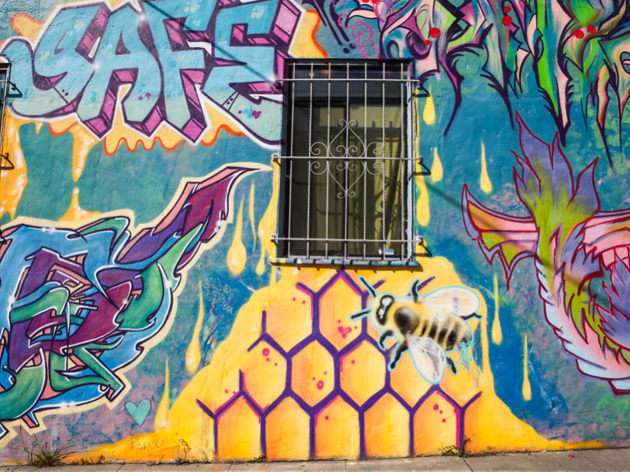 Known for his colorful artworks, Ricardo Richey (a.k.a.Apex)'s bright creations are dotted across San Francisco. 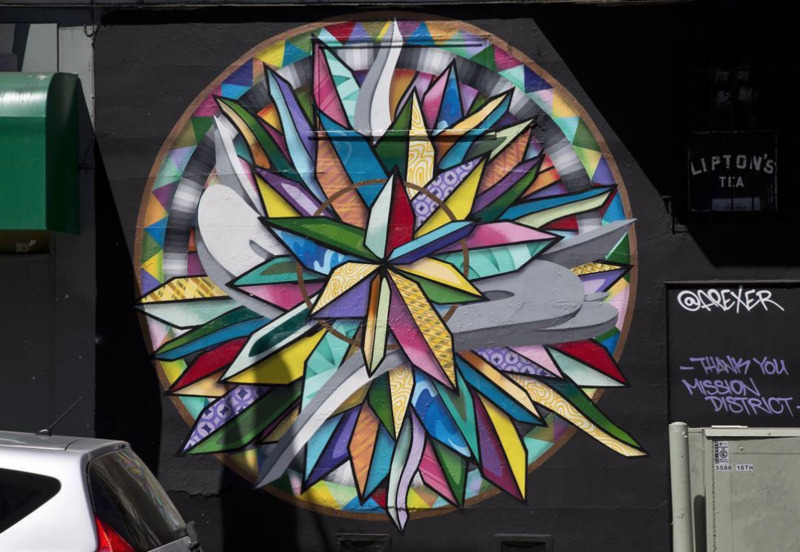 This bright kaleidescope is at the corner of 18th and Guerrero Streets in the Mission. 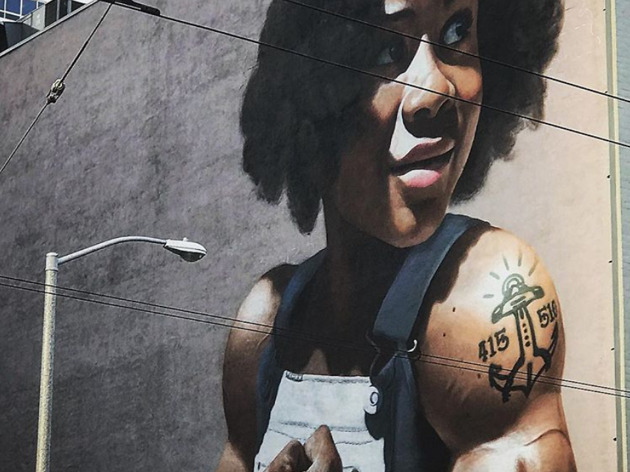 Installationist and muralist Carmen Mcnall frequently paints people who work with their hands. 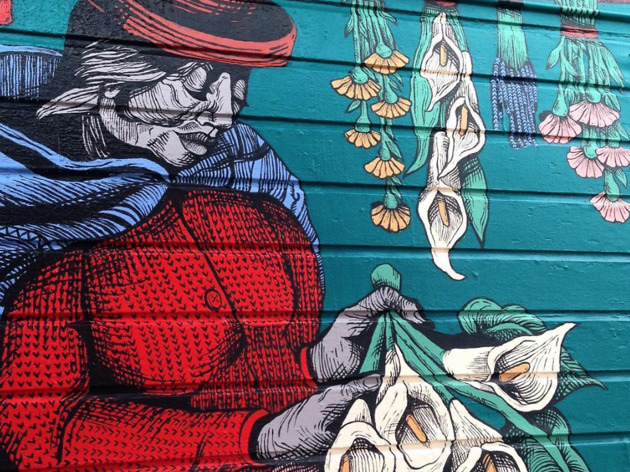 The flower lady is a welcome treat at an otherwise gray building. 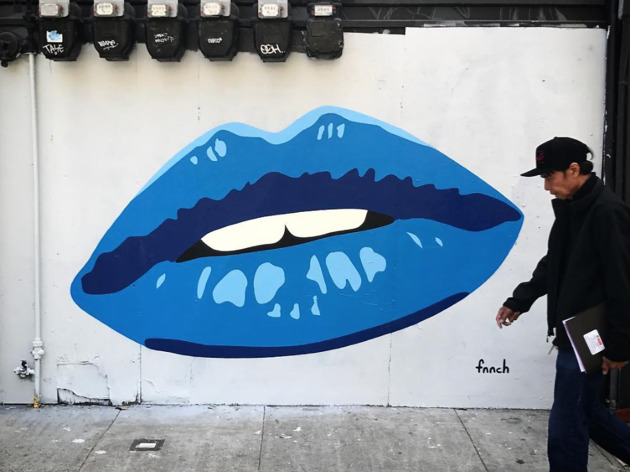 Another one of fnnch’s street art hallmark is spray painting gargantuan, luscious lips on city walls. 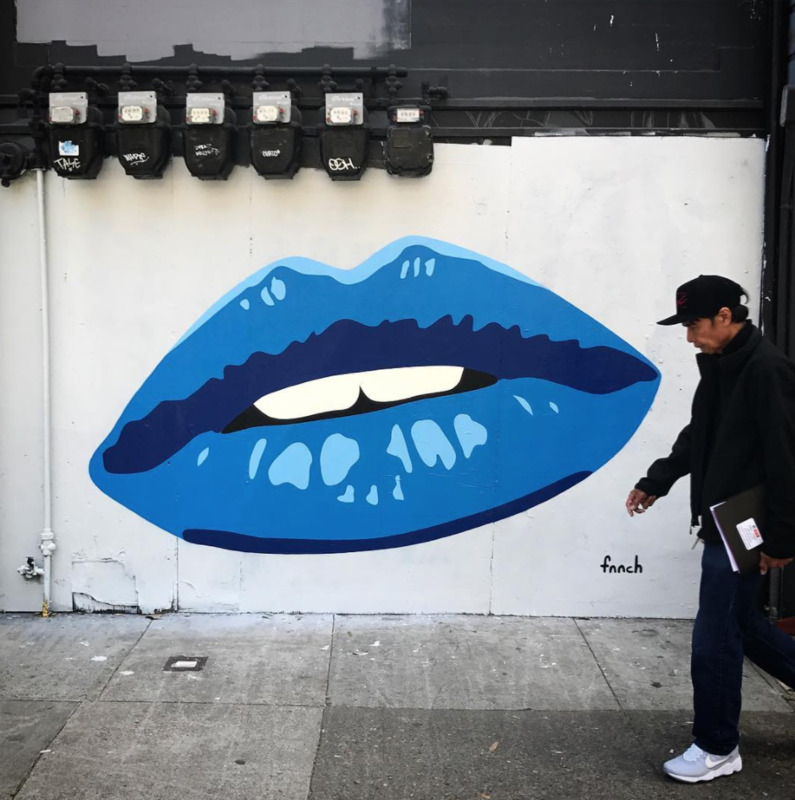 The blue lips at Central Haight Cafe (1301 Haight St) are among our favorites. 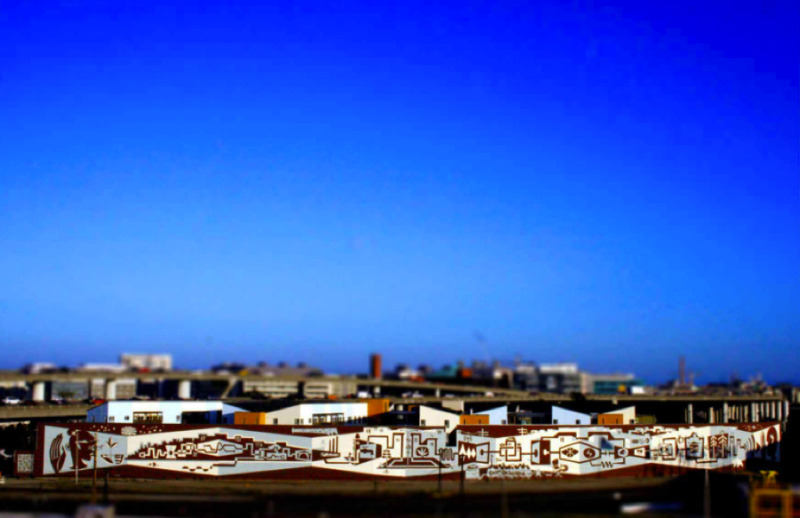 Another elaborate art piece not to be missed is by muralist Brian Barneclo; known as “Systems,” Barneclo’s mural is the city’s largest at 600 feet wide and 40 feet tall. 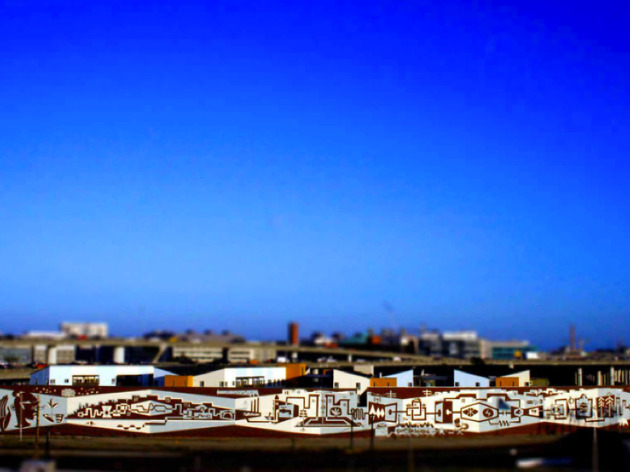 The work of art runs along the end of the Caltrain track near the final stop at Townsend Street and 4th in South Beach, and greets incoming guests as they arrive by train to the city. 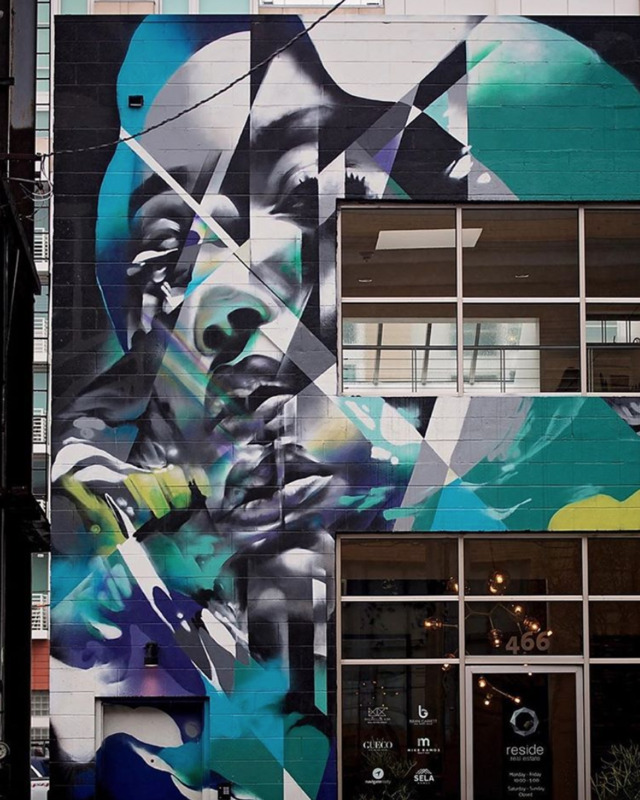 The piece is both retro and modern, with a hint of cubism. 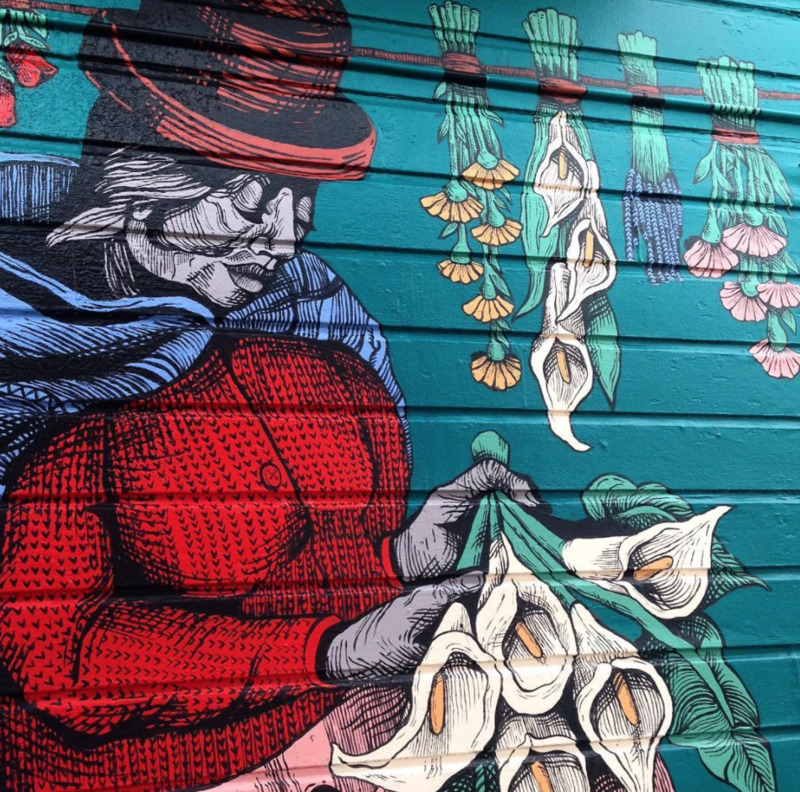 If you like Barneclo’s work, you can also find it at popular Divisadero restaurant Nopa.